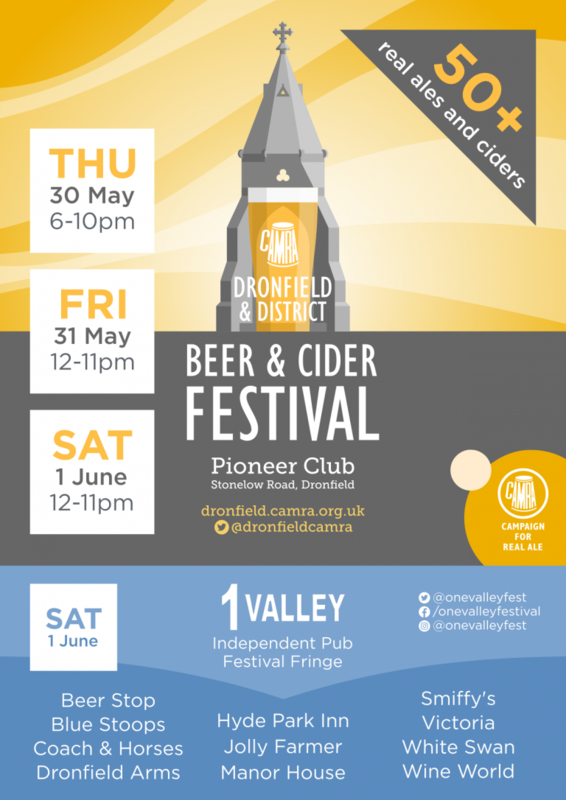 Our first ever Beer & Cider Festival takes place from 30th May to 1st June and sees us take over the Pioneer Club hosting a pop up bar with a range of over 40 cask ales along with about a dozen traditional ciders and perry. The Pioneer Club bar will be open as usual serving wines, spirits and soft drinks plus our friends the Bar Stewards will be bringing their craft keg bar with an exciting selection of beers to try. Food will be available at all sessions, all festival beers will be served in a commemorative glass (available to hire or buy) and live music will feature Friday and Saturday night. Thursday 30th May: open 18:00-22:00. Free entry. Friday 31st May: open 12:00-23:00. Entry £3 after 5pm, free before 5pm. 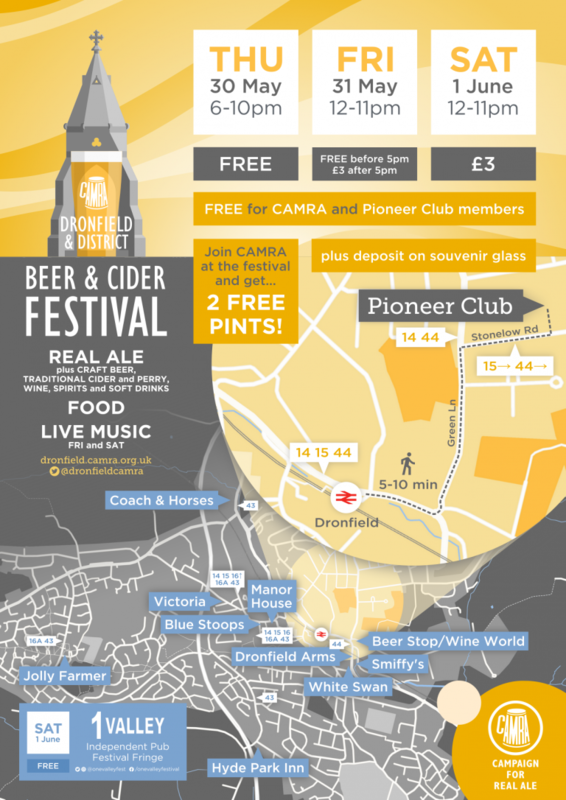 CAMRA and Pioneer Club members enjoy free entry at all times. On the Saturday many pubs around the town will be joining in the festivities with free events to add to your day or night out! by taxi: The main local taxi companies are Network Taxis and City Taxis. CAMRA festivals are organised, run and staffed by volunteers who have a passion for great beer and cider. If you fancy helping out, please fill out our online Beer Festival Volunteering form. - beer token sponsorship gets your logo on the back of the beer tokens used by visitors to buy beer and cider at the CAMRA bar. - entertainment sponsorship gets your banner in the stage area where bands will be performing on Friday and Saturday night. - bar sponsorship gets your branding onto a section of the CAMRA bars. - general sponsorship gets acknowledgement on posters around the venue, in the programme and on the website. - staff sponsorship gets t-shirts with your logo and the festival logo issued to the volunteer staff working at the event. All sponsors also get a number of complimentary entry tickets, glasses and beer tokens, depending on level of sponsorship. Email moc.emlohwen@bor for more information.